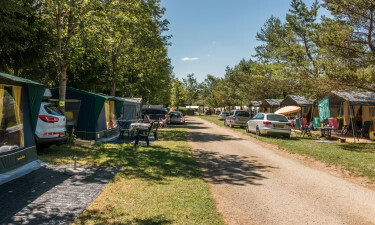 Nestled between luscious lake and river views, Camping Beauregard in Jura is a countryside retreat ideal for families looking for peace and tranquility. With a host of nature treks and hiking activities in the local area, the luxury camping site itself has all the facilities needed for a fun and relaxing stay. 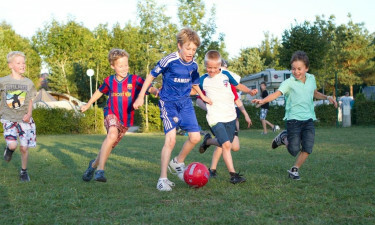 Whether you are looking for a restful poolside holiday or an active outdoor adventure, Beauregard has all the benefits of a versatile family camping holiday. 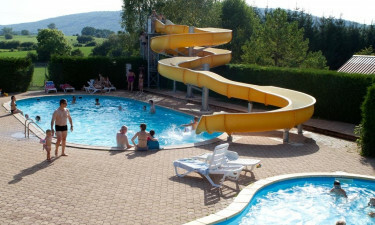 Located in the hilly region of Jura, Beauregard is a lovely luxury camping choice for a mobile home. It is set in the protected Jura mountain area - an area renowned for its alluring countryside views and cheese making prowess. There are many activities nearby for all the family to appreciate — from fishing through cycling — with many cultural landmarks and historic towns to visit. Book your next family camping holiday at Beauregard through LuxCamp. If you're looking to make a splash this holiday, Beauregard have their own aquatic centre consisting of indoor and outdoor pools. Kitted out with designated swimming lanes, play areas, swirling spa baths and massaging jets, there is something for everyone in the poolside area. If you're looking to stay active, Beauregard is equipped with a gym, tennis court and multi-sports area for you to stay fit and active. With competitions and tournaments organised on site, you can push yourself in one of several sports against players from around the world.